Granulation is a very old jewelry making technique. It was possibly invented in Sumer 5,000 years ago and is still used today. 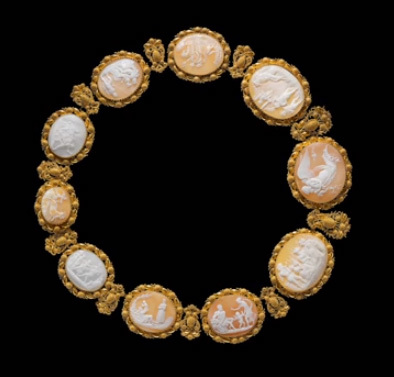 Basically, tiny gold balls are fused to the surface of a jewelry piece to form a pattern. 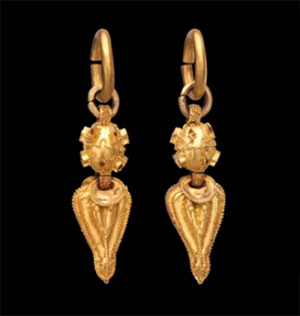 And by the way, extraordinarily beautiful jewels are made by the technique of granulation. Here we offer you just a few examples. Also, we’d like to show you the process of granulation itself – it’s fun actually. 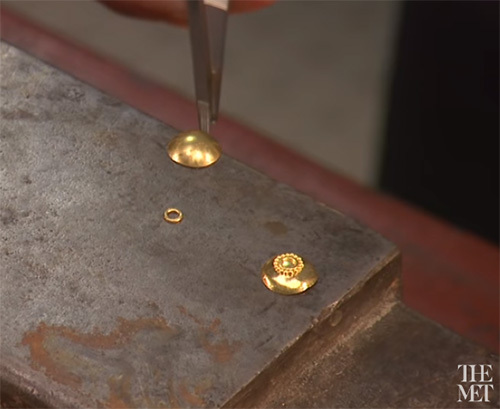 The technique of fusing tiny gold balls to the surface of jewelry is called “granulation”. The balls can be arranged to create pattern and texture. 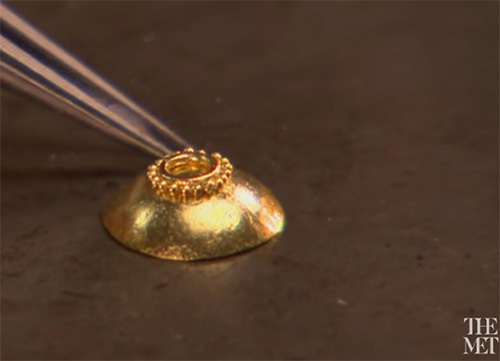 A gold dome is created as a base for applying the granulation. 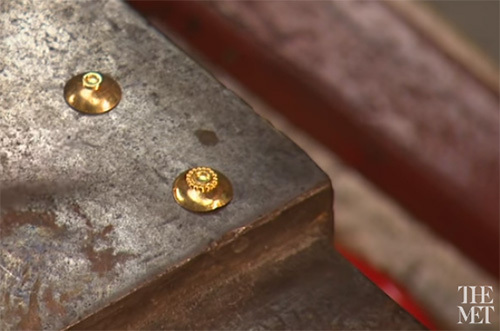 First, a small gold ring will be fused to the surface, around which the granules will be placed. 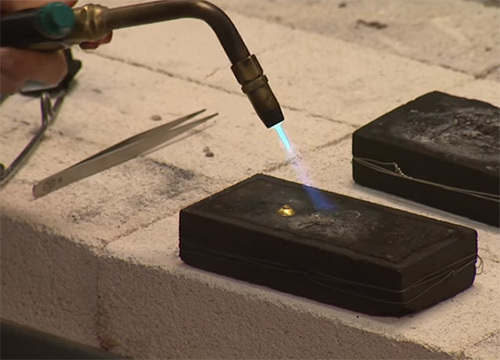 The ring is dipped into a solution of glue, flux, and copper salt, diluted with water. Then, heated with the torch, the moisture in the glue solution is very gently burned off. The air of the torch can disturb the placement of the elements to be fused. 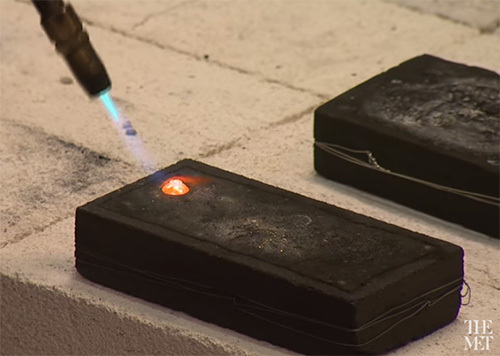 When dry, the glue turns to a dark brown and the piece is heated more aggressively – just to the point where the surface melts and the ring is fused to the surface. Now, the granulation process begins. 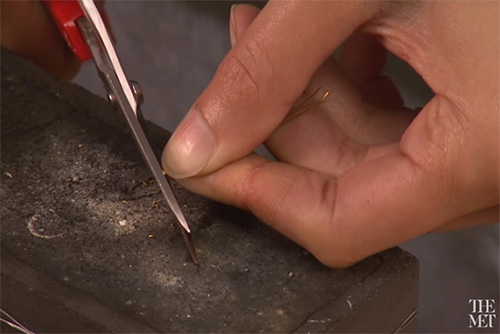 Tiny granules are made by snipping fine gold wire over a charcoal block. Separating the pieces on the block will prevent granules from melting into each other when heated. 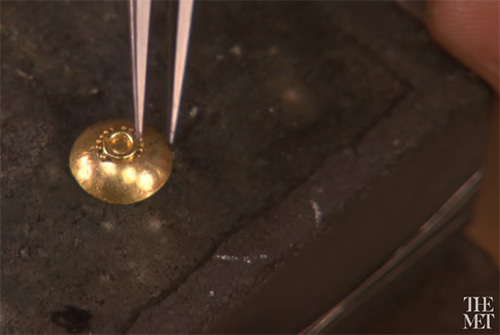 The tiny pieces of gold ball up into granules when heated to melting point with the torch. 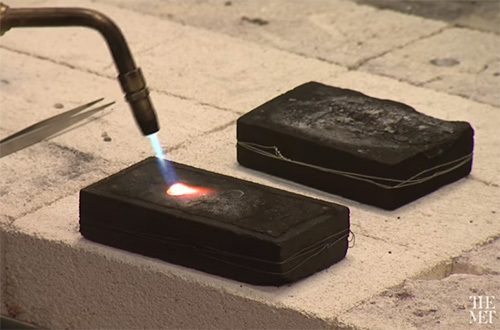 The process is performed on a charcoal block because the charcoal creates a reducing atmosphere – one that consumes the oxygen, therefore preventing oxidation or discoloration of the piece. The tiny granules are dipped into the glue solution and placed individually onto the workpiece. The tension of the solution temporarily holds the granules in place until the glue dries. Again, the glue is gently dried with a little heat without directly applying the flame, which would scatter the granules. 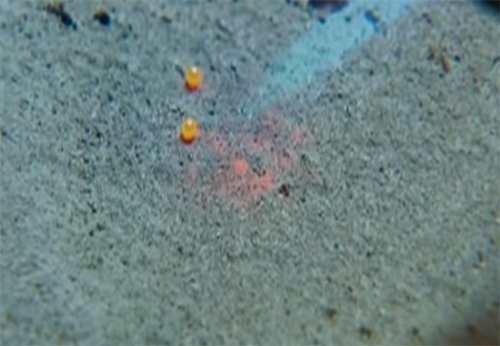 Once the glue turns brown, more heat is applied until the granules fuse to the surface and to each other. If the heat is applied for an instant too long, the whole piece could melt. A few granules may not fuse on the first try and the process may be repeated, which is the advantage of fusing the granules rather than soldering. 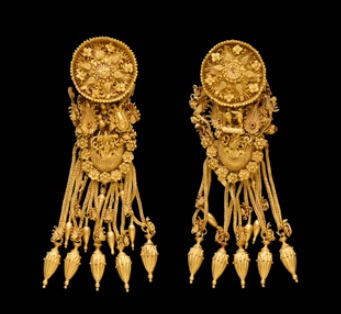 Gold earrings, Silla kingdom, Korea, 57 B.C. 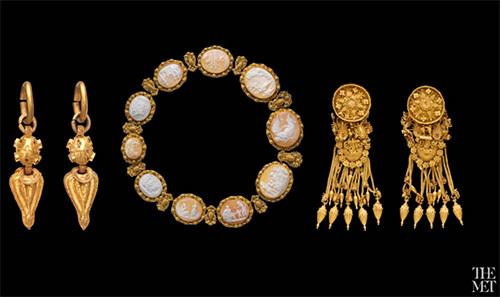 – 676 A.D.